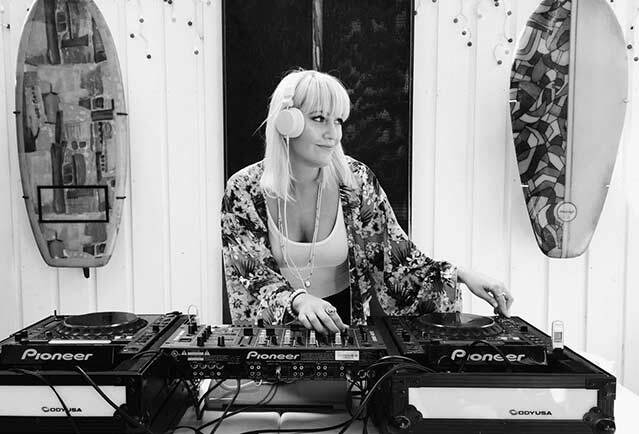 DJ ShanLynn (aka Shannon Phillips) is a Los Angeles-based DJ, VJ, Composer, and Producer – originally from Austin, Texas. Her style is open format including an eclectic mix of top 40, classics, 80’s, 90’s, old school, Pop, hip hop, nu-disco, indie dance and electronica. She also loves giving Top 40 a fresh new feel by mixing in remixes and mash-ups when she has the chance. Music is DJ Shanlynn’s life. She grew up dancing professionally, and then bought her first set of turntables at the age of 14. Dance gave her many traveling opportunities and she made sure to stop at the local record stores to collect vinyl wherever she went, including Detroit where she spent her summers growing up. Shannon’s talent and extreme versatility has made her a highly demanded DJ in both the private event and nightclub scenes of Southern California. She has worked with many high profile clients including The Wall Street Journal, Macy’s, ABC, Aveda, Universal Music Group, UberEats, Forever 21, Redken / Loreal, Steinhoff International, Aids Healthcare Foundation, Mercedes Benz, and even made a DJ cameo on ABC’S 21st season of the Bachelorette. She prides herself on being able to read the room, and play music for the people. She is extremely hard working, easy to work with, and loves making people smile and have fun. From weddings to corporate events and everything in between, ShanLynn believes in music that moves you, physically and mentally. You will feel that in her DJ sets, always taking you on a journey and bringing you back to the dance floor one song at a time.